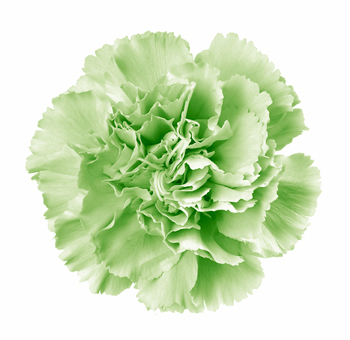 Carnations are the perfect flower type for weddings, corporate events, and more. 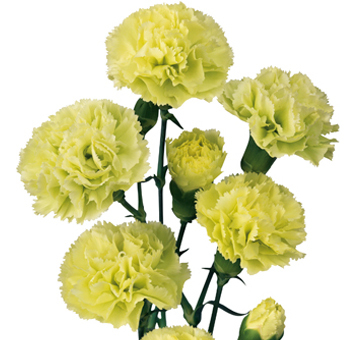 They are one of the longest lasting flowers, with a vase life ranging up to 3 weeks. They can be used to express a number of feelings, including love, fascination, distinction, and many others, depending on their color. They also inspire romance and are available throughout the year. 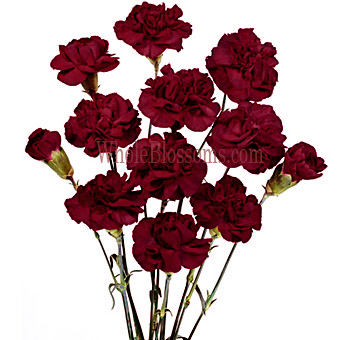 They are also excellent for vase work, bouquets, and other arrangements where simplicity and zeal are desired. We offer them in three different lengths ranging from 17-29 inches. 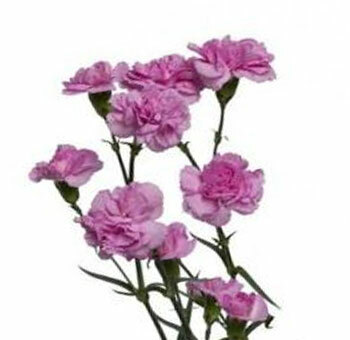 As normal with longer growing flowers, their heads tend to be larger with a longer stem length. You can order them as standard small (17-21 inches), fancy medium (21-25 inches), and select large (25-29 inches). 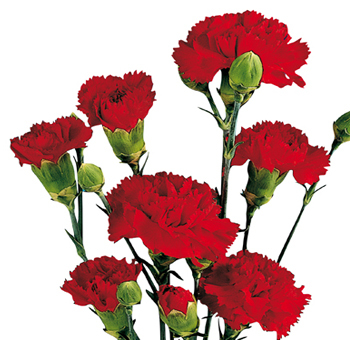 Carnations are a wholesale flower that is very affordable and popular for events and wedding parties. 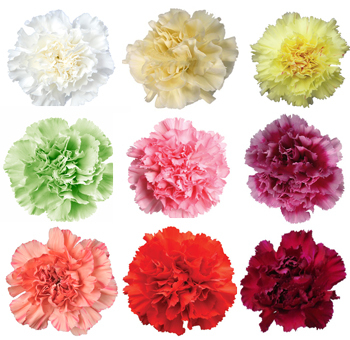 Bulk Carnations For Sale is a variety with large, single, or miniature, multiple-stemmed flower with compact blossoms made up of many frilled petals. 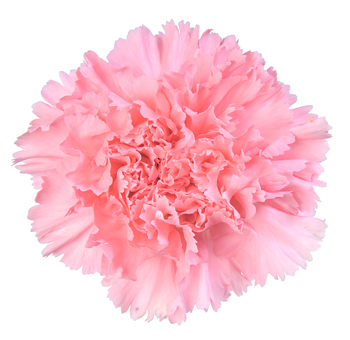 They are sometimes referred to as "pinks" because the edges of the petals appear to be cut with pinking shears. 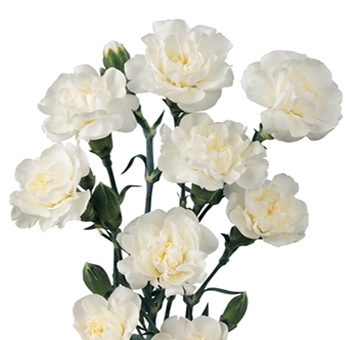 A fresh carnation should be about half open, and the miniature spray variety should have a few flowers half to fully open, with others in bud. After they have been sitting in water for a day or so, they will fully open, with some of the dense petals curving outward. 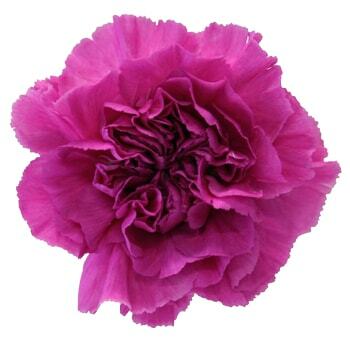 When they have been in bloom for a long period of time, the edges of the petals will start to discolor and dry out. 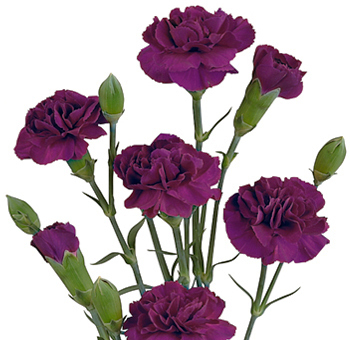 If you order your carnations 3 or 4 days ahead of time, they will be at the peak of their performance by the time of your event. 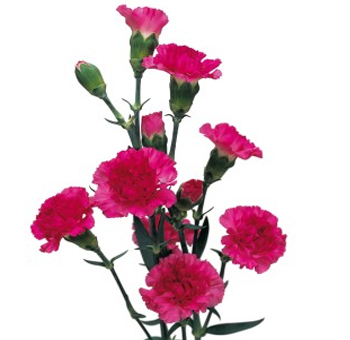 They are also called Dianthus and are mostly available in the spring and early summer shades of red, pink, and white. 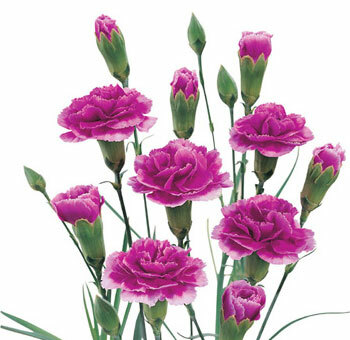 It is a long-lasting cut as well as popular garden flower. 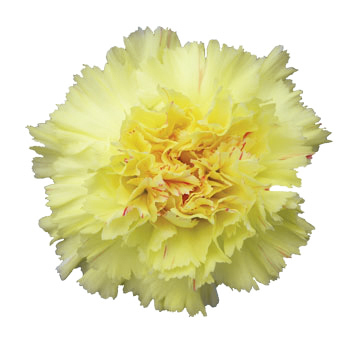 This variety of wholesale flower comes in about 300 different species and hundreds of varieties. 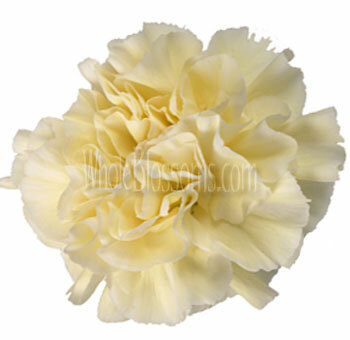 White Carnations are very popular for weddings and special events. 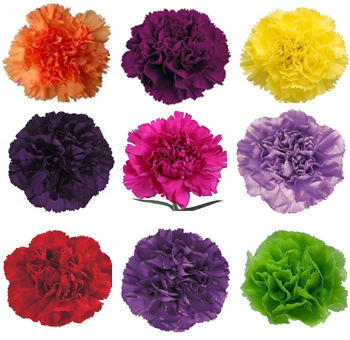 Some other favorite color varieties are blue, pink, red, purple, red, burgundy, and many others. 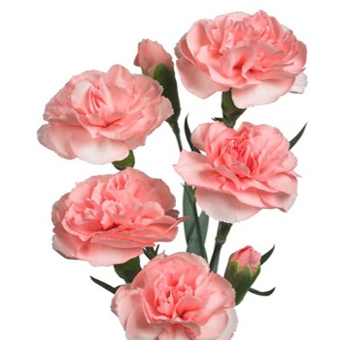 Nothing is more appealing than carnations in Flower Arrangements & bouquets, they are also very popular with homecoming and high school proms and can bring a lot of quantity for your budget. They have a freshness that lasts 10 days to 2 weeks, sometimes longer. 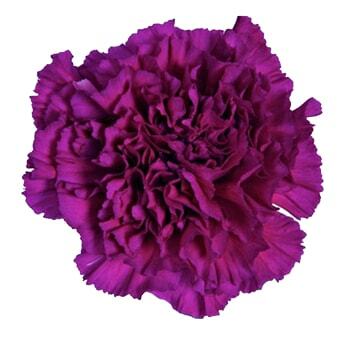 Although this is a long-lasting flower, be careful when handling carnations, as their heads can pop off easily. They are available all year. 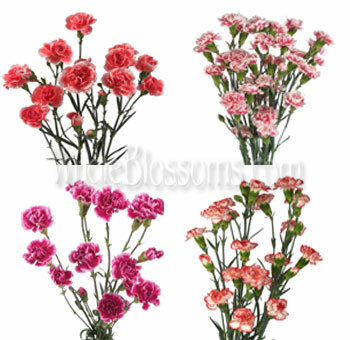 They are also extremely affordable compared to other flower varieties, which allows them to be purchased more in bulk. 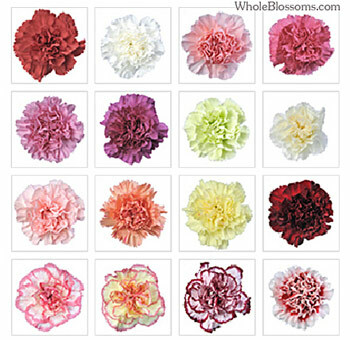 Whole Blossoms has many wholesale flower varieties and is always available online 24/7. A great time to buy them is Mother's Day. 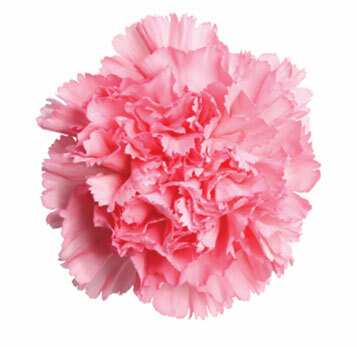 The pink carnation is a symbol of mother's love and the emblem of Mother's Day. Other colors have their own meanings: Yellow is for disdain, purple is for antipathy, striped for refusal. White is for pure and ardent love, while red means "Alas my poor heart." 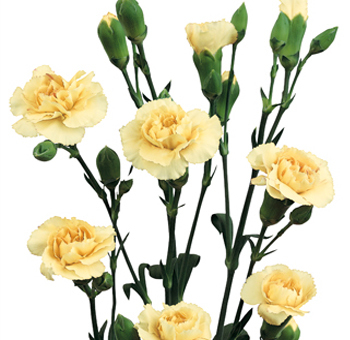 One thing to keep in mind is since they are inexpensive, very long-lasting flowers, it is no wonder they have become one of the most favorite varieties. It is customary in India to wear floral garlands around the neck or wrist and we often make these for weddings involving mix of cultures. At a Hindu wedding, the bride and groom exchange sumptuous garlands, mainly of red and white flowers decorated with silver, assembling by threading the flower head onto wire. 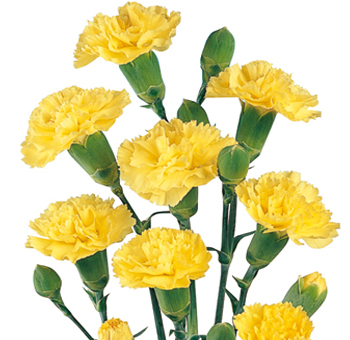 Carnations work well for these, as they are relatively inexpensive (a factor when so many flower heads are needed) and are durable. Some brides like to break with convention and wear something more unusual, such as floral boa or a necklace of flowers. If you do choose a necklace, you need to have a good, elegant neck, so experiment first. 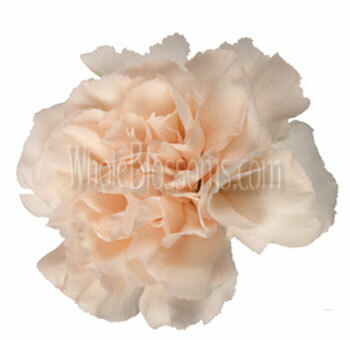 Wrist corsages can also add glamour to a bridal dress and look fabulous on more bridesmaids or matrons-of-honor. Some brides choose to have their shoes adorned with flowers which peep out from under the gown as they walk. If you are planning something out of the ordinary, it is worth spending a little bit more money and asking someone to make a prototype to try out. That way you can be sure you are happy with your ideas. If you wish to sew flower heads onto your dress, you will have to ask someone to wire them, so that the stem is removed, making it easier for you to attach them to your gown. A few miniature rose heads sewn on to a veil can look very romantic. 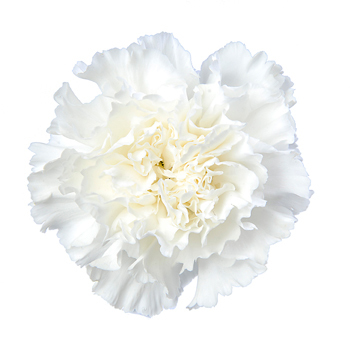 If you are planning a wedding or preparing for a special event, it's a good idea to benchmark some timetables before receiving your Carnation Delivery. If you'll be arranging you flowers yourself, assess the quantities of blooms, greenery, containers, and materials that you'll need. 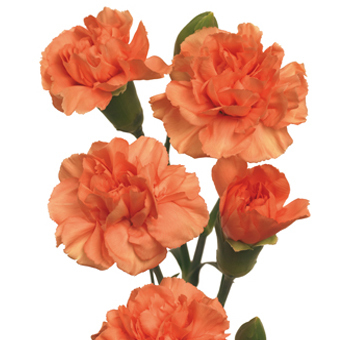 Research our website for other varieties you may be using along with your carnations. It is recommended that you do this 2 or 3 months beforehand. 6 weeks before your event, it is recommended that you go ahead and place your order. At this time you may also want to confirm and vases, ribbons, and any other materials you will need, especially if this is a DIY event. 3 to 4 weeks before your event, be sure to work out the wedding day timing and details, which includes: delivery and distribution of centerpieces, bouquets, and other arrangements. Draw up a schedule to share with your bridal party, helpers, and other important persons. 1 week before your event, designate a person to meet, greet, and handle each vendor. Please confirm that your flower order has been correctly placed and successfully filled. 2 or 3 days before your event pick up the flowers and greenery and begin conditioning the flowers, if necessary. The day before your wedding, start arranging the centerpieces and make the corsages and boutonnieres. 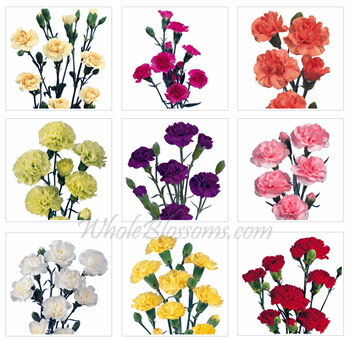 Carnations are very important to us in life and can also be used in many other ways besides centerpieces, necklaces, boutonnieres and corsages. 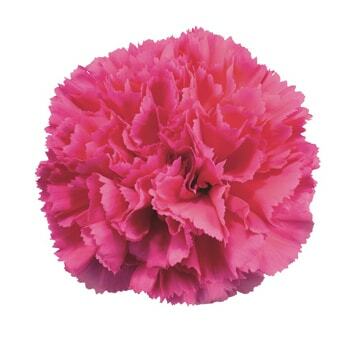 You may consider making a bouquet of carnations. You will need about 30 to 40 stems. You will want to pick out your own style of ribbon, and then get plenty of floral tape, clippers and a stem of pipe cleaner. Take all your blooms and gently pet the petals outwardly as to fully open the blooms. Remove any foliage, but gently, leaving plenty of extra stem. Begin shaping your bouquet by assembling three blooms at time with floral tape, and then assemble it all together. Wrap the handle with the ribbon of your choice. You can then add pearl pins on the side of the handle and trim all the stems at the bottom evenly.